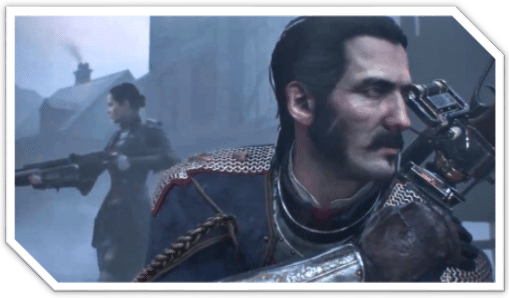 The Order 1886 is a difficult game to try to “review” as I usually never talk about a game in the sense that it is or isn’t for you, as I could never truly tell the proverbial you what to enjoy. Set in London, King Arthur’s Knights of the Round Table, after surviving for some time on a mysterious “black water” that has amazing healing properties as well as the ability to extend life, battle humans who have taken on the traits of wild beasts. These humans come to be known as Lycans. There are more than a few plot points that are eerily similar to the film Underworld; Wolf vs Human, Human vs Wolf, Vampires. 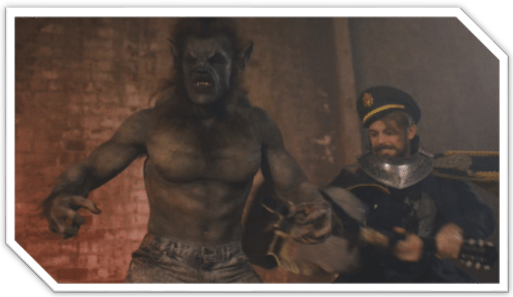 There’s even the character that can’t bring himself to kill a child who he finds while wiping out a Lycan stronghold and raises the child as his own. To be fair, games borrowing from films isn’t anything new, as films now are heavily influenced by games and comics. The ideas present in the game as well as the way that actual history is paralleled with the story is very well done. Sir Galahad and his team of Knights discover a plot to assassinate Lord Hastings, chairman of the United India Company. Not everything is as it seems and without spoiling too much let’s just say that for Galahad and the Knights no one can be trusted. In an attempt to take the best of films and marry that with the complexities of a videogame, The Order; like many games before it, stumbles. The amount of detail in the world is meticulously done, the sights and sounds of early London coupled with the way that each of the character models is painstakingly crafted serves to further the idea that games can be, and at times are comparable to the best that films has to offer. However, it’s in this dedication to narrative and story that The Order forgets that it needs to be a videogame. For me, someone who’s been playing games for most of my life, a developer that takes chances on new ways to explore what is and isn’t perceived to be a videogame is exciting. I can appreciated the hard line stance that Ready at Dawn took in treating their IP as a narrative driven experience first and foremost. Conversely, I also know that the market that’s willing to see things the way I do or just the conventional gaming market in general is very unforgiving if the basics that are seen as needed to qualify as a “game” aren’t there. There’s been a lot made out of the fact that not much actual gameplay exists within the structure of The Order and to be honest I’d say that the time I spent actually doing something that I would qualify as “gameplay” was very short. There a long sequences of just barely being given control. Walk along a beautifully rendered environment, only to barely do anything remotely resembling playing a game; think of it more as being able to control a character in a limited fashion during a cutscene. There are other times that I could tell there was a genuinely fun and engaging combat fighting systems struggling to get out from behind that tightly focused narrative. 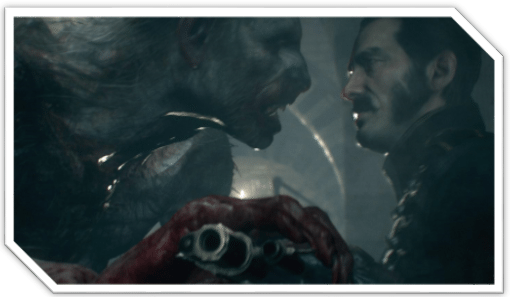 In the end, The Order serves to represent just how far games have come to delivering the same impact as other mediums such as films but struggles to find its footing as that other medium that it needed to be; a game. Closer and closer we get to that perfect marriage of the two though, and without games like this we wouldn’t even be dreaming that one day we’d make it there.